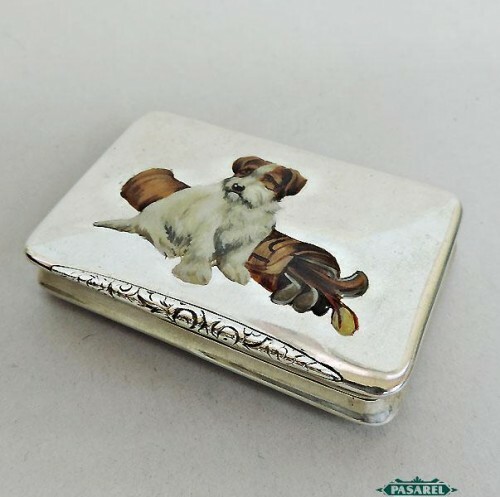 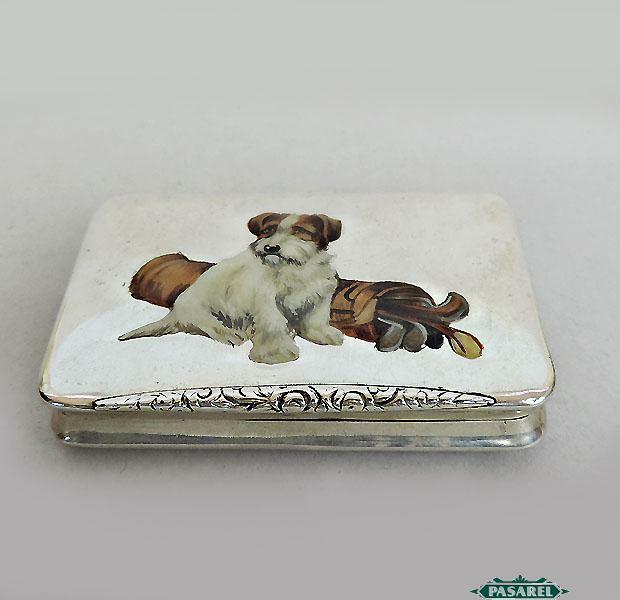 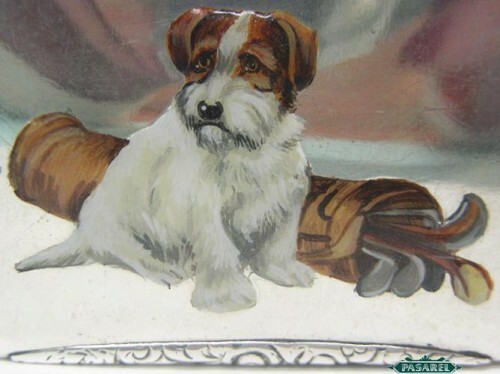 Of rectangular from, the hinged lid is beautifully decorated with an enameled dog sitting next to a golf clubs bag. 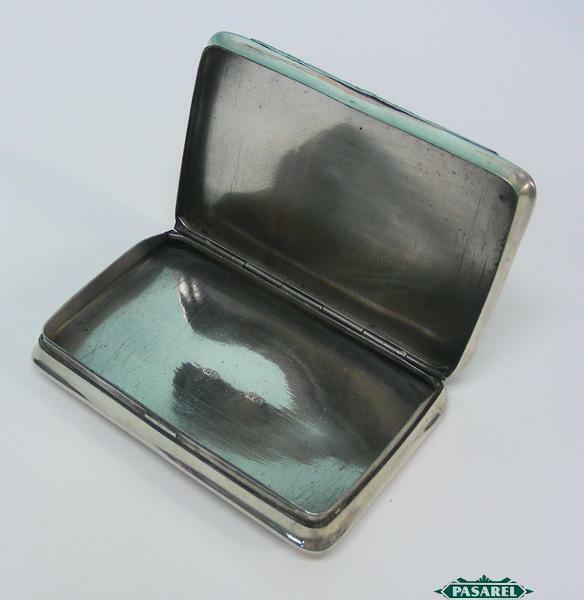 7.5cm X 5cm / 2.95in X 2in. 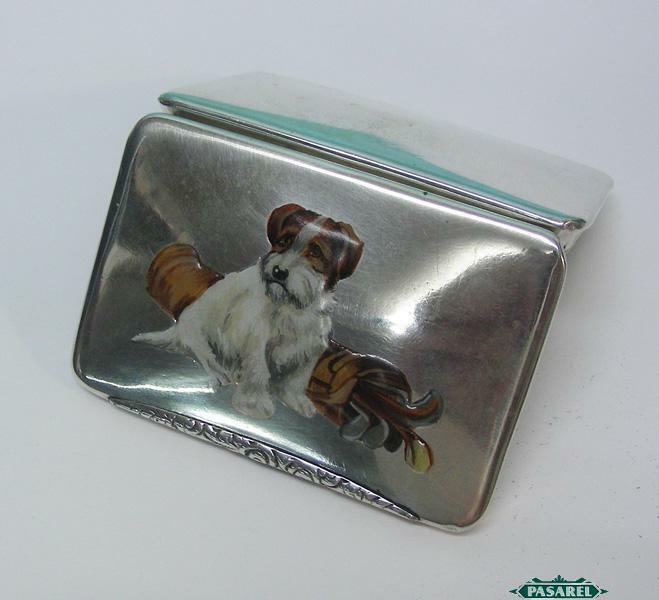 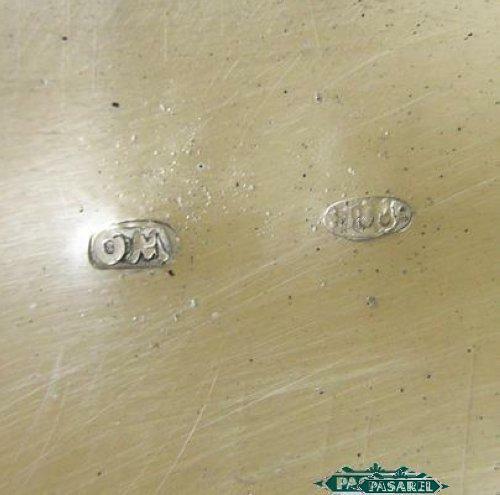 Marked with Russian silver marks (84 standard).